I would like to add a reverse polarity protection circuit to protect my circuit from reverse polarity. 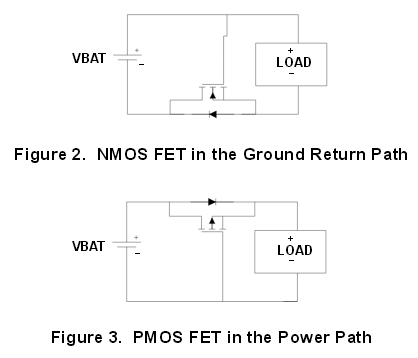 With NMOS FET, I have a little problem. If the voltage is too low the FET isn't turning on and the current flow through the internal diode. But I think the diode isn't in a good direction. If the voltage is high enough e.g. >3V, the MOSFET is turning on and current flow through the MOSFET. Browse other questions tagged mosfet protection polarity fet reverse or ask your own question. How does this reverse polarity circuit work?